Renamed from 'IPSC' to 'USPSA' in 2019. Target Organization – National Rifle Association. Size/Shape - 24" x 45"
Target Barn’s cardboard targets are manufactured from brand new corrugated box to withstand harsh weather and rough handling. 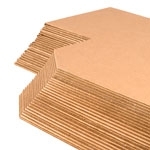 Cardboard targets are often used for competition, target practice and range training. 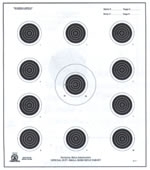 Target Barn is licensed to produce targets for United States Practical Shooting Association (USPSA), International Defensive Pistol Association (IDPA), and National Rifle Association of America (NRA). 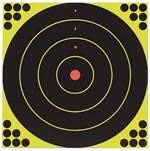 Prolong the use of your targets by using Target Barn Target Pasters or Repair Centers. 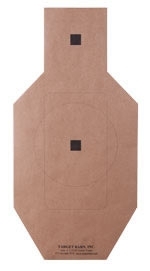 Create hardcover targets for IDPA or USPSA matches using Target Barn patching tape.